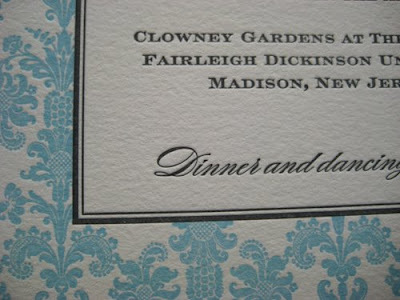 When these invitations came back from the printer, I just couldn't stop staring at them... I am absolutely in LOVE with them. 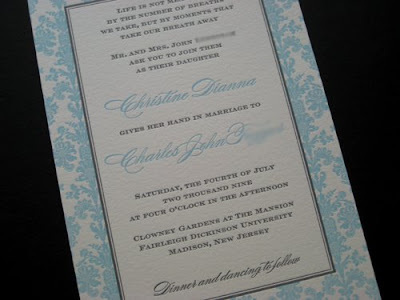 Christine and Charles chose the damask border invitation in powder blue and gray, letterpress printed, in a booklet. 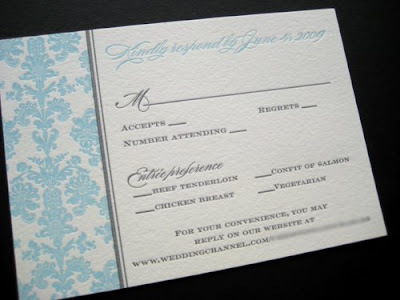 Pictures truly don't do these invitations justice...if you are considering ordering from our letterpress collection, you can order samples through our order page. 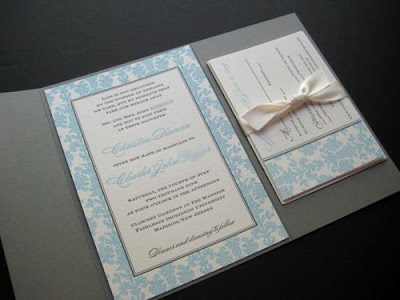 I just wanted to tell you how absolutely beautiful the invitations are! I love them - they are perfect!!! 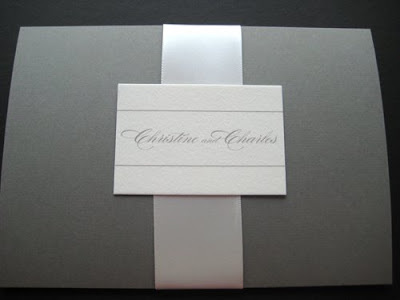 Thanks Christine - you were such a joy to work with!! 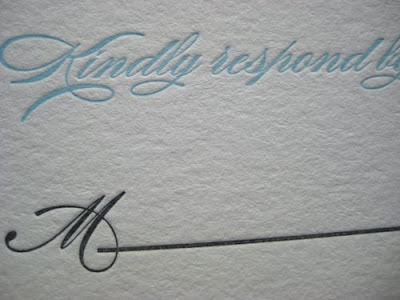 we absolutely love your designs! So lovely! I just know my readers would absolutely love them too! Thanks! That is so sweet of you. 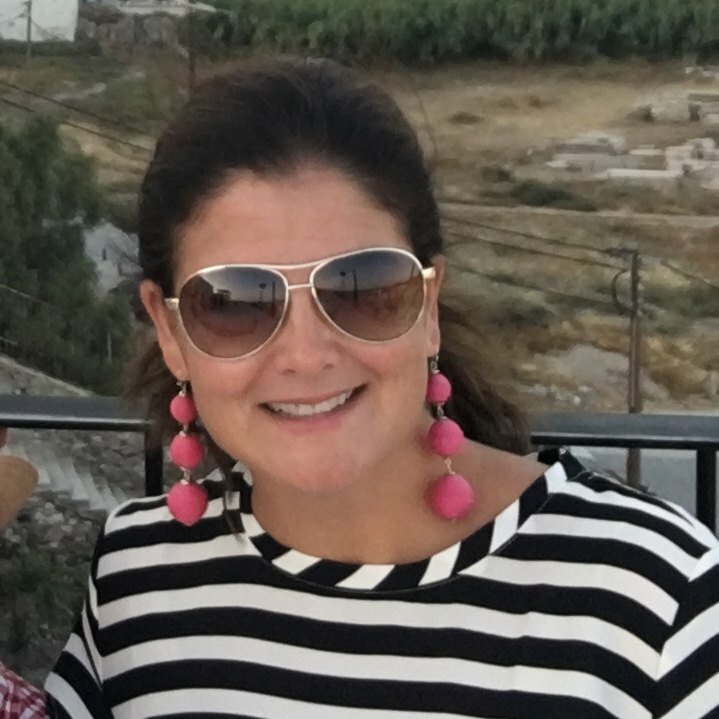 I just checked out your blog, love it! Please feel free to use images from our site or blog for any of your inspiration boards, we'd be honored!